At St. Margaret’s, we aim to provide ALL children with advanced English skills to successfully equip them for life; we foster a positive attitude towards all aspects of English in order to engage and stimulate children and to help boost self-confidence. 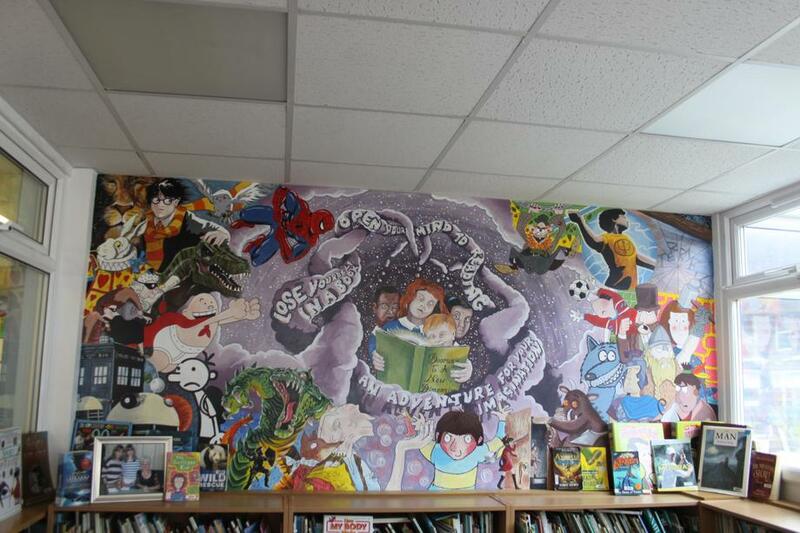 Throughout the school year, we regularly hold Book Days to help introduce children to a wide range of authors and writing styles; these days consist of fun activities to help foster a love and enjoyment of reading. We also try and invite authors to come in to our school as much as possible. 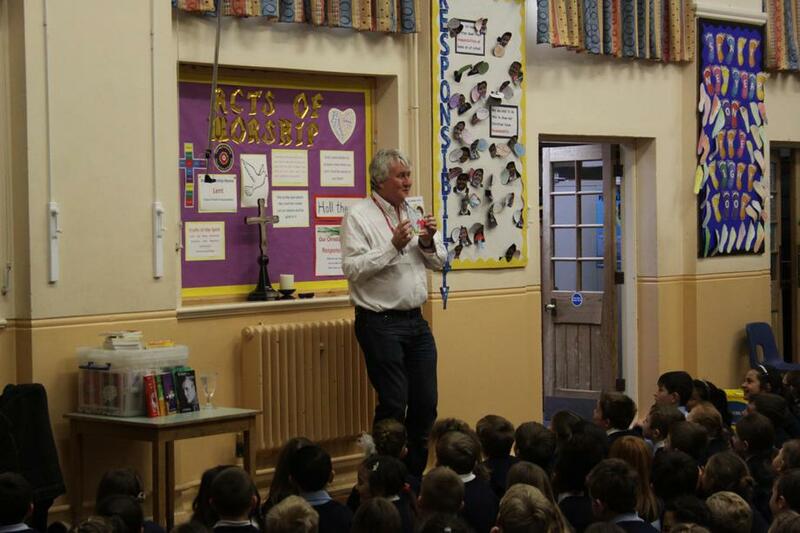 Below is a picture of the children's writer E. R. Riley who joined every class for a morning session; he shared snippets from his hilarious new books as well as top tips for how to write your own successful short story. In the words of our pupils, the school library is an "exciting" and also "relaxing" place to be! There is a children's suggestion box in the library and throughout the year, we buy as many books from this list as possible so that our library is up-to-date with current choices. The library is open at lunchtimes for children to leisurely peruse the shelves and for them to lose themselves in a book. We have a close relationship with Rainham Library and they regularly invite our pupils to partake in sessions run by esteemed children’s authors. As a school, we invite children to regularly partake in many free English competitions. For helpful websites and online games to play to help improve your English skills, click on the ‘Kids’ page’ and the English tab.